Get ready to score in style and play your games with one of the world’s biggest football clubs in your hands. The Limited Edition PlayStation F.C. DUALSHOCK 4 Wireless Controller is perfect for you to kick off another season in style. 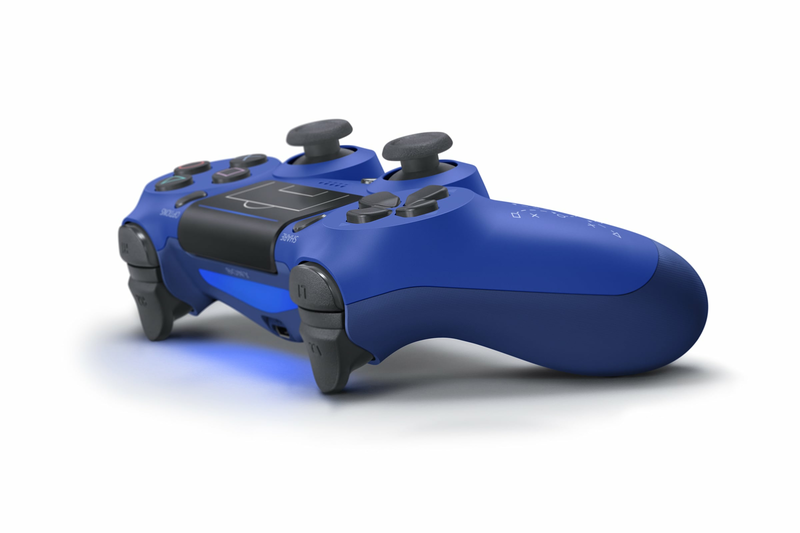 The DUALSHOCK 4 is blue and has the penalty area lines designed on the Touch Pad, as well as the official PlayStation F.C. Crest and bespoke tactics. Whether you’re playing a friend or someone from around the world, you can do it in style with this PS4 controller. Including all the excellent features from the PS4 Wireless Controllers, this is a must for any football fan. 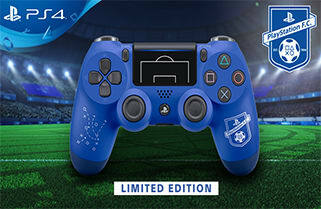 There’s a controller for every player, so kick off in style and buy the Limited Edition PlayStation F.C. DUALSHOCK 4 today. There’s a controller for every player, get the Limited Edition PlayStation F.C. DUALSHOCK 4 today. Enjoy all DUALSHOCK 4 controllers greatest features with a spectacular design, perfect for any football fan. 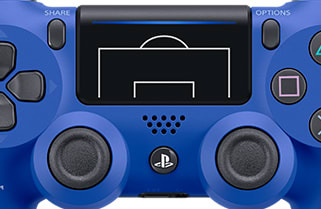 The controller is blue and has the penalty box lines designed on the touchpad, with the official PlayStation F.C. crescent on the right side of the controller. There is also a bespoke tactics pattern designed on the left of the controller, creating the ultimate PlayStation football controller. Thanks to the precise controls and revolutionary features included on this PS4 controller, you can enjoy comfort and precise controls even throughout the longest gaming sessions. The responsive touchpad, improved analogue sticks, light bar, built-in speaker and motion sensors all add another dimension to your games. Whether you’re sat next to your competition, or they’re on the other side of the world, play in style with this PS4 controller. Buy the Limited Edition PlayStation F.C. DUALSHOCK 4 today. Please note: The actual product may differ slightly from product imagery. Design and specifications are subject to change without notice. 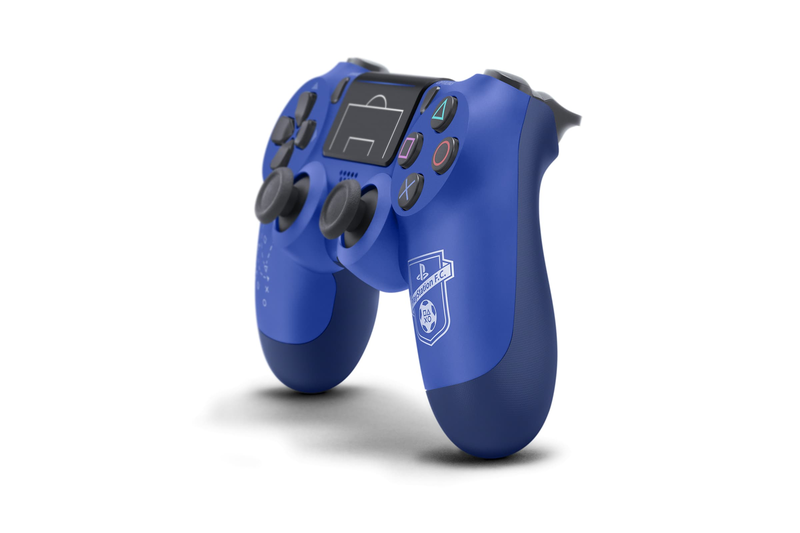 This controller is a must for any football fan, show your support and become a part of your favourite console team - PlayStation FC. This is the perfect controller to kick off in style! The Limited Edition PlayStation F.C. 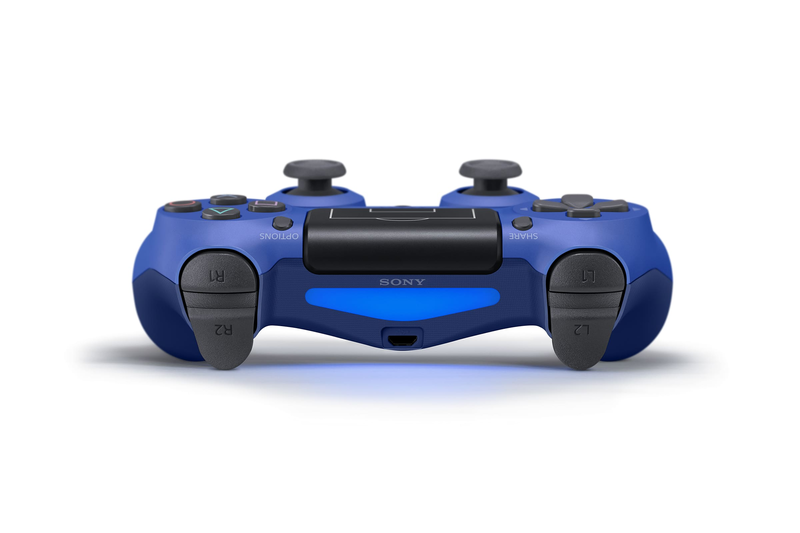 DUALSHOCK 4 Wireless Controller is blue and has the penalty area lines designed on the Touch Pad, as well as the official PlayStation F.C. Crest and bespoke tactics. Get even more precise control with the built-in touch pad. Don't forget to hit the share button which allows you to capture and share your finest moments or upload gameplay videos directly from your PS4. 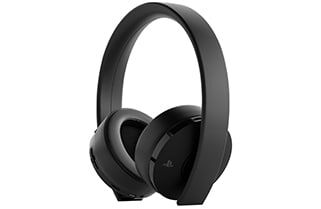 Enhance your gaming experience with the PS4 Gold Wireless Headset designed for the ultimate gamers and for the long gaming sessions where you simply don’t want to stop playing. Click here to find out more!